ENG: We are affiliated with the Orquesta Sinfonica de Las Palmas and we are dedicated to educating and providing performance opportunities for the next generation of clarinetists. The festival takes place in one of the most beautiful parts of Cruce de Arinaga in Las Palmas, Gran Canaria, Spain. Participants will have the opportunity to participate in masterclasses with our internationally acclaimed faculty, perform in large and small ensembles, attend workshops, and our international clarinet competition. ESP: Estamos afiliados con la Orquesta Sinfónica de Las Palmas y estamos dedicados a educar y brindar oportunidades de rendimiento para la próxima generación de clarinetistas. El festival tiene lugar en una de las partes más hermosas del Cruce de Arinaga en Las Palmas, Gran Canaria, España. Los participantes tendrán la oportunidad de participar en clases magistrales con nuestro profesorado internacionalmente reconocido, actuar en conjuntos grandes y pequeños, asistir a talleres y nuestro concurso internacional de clarinete. 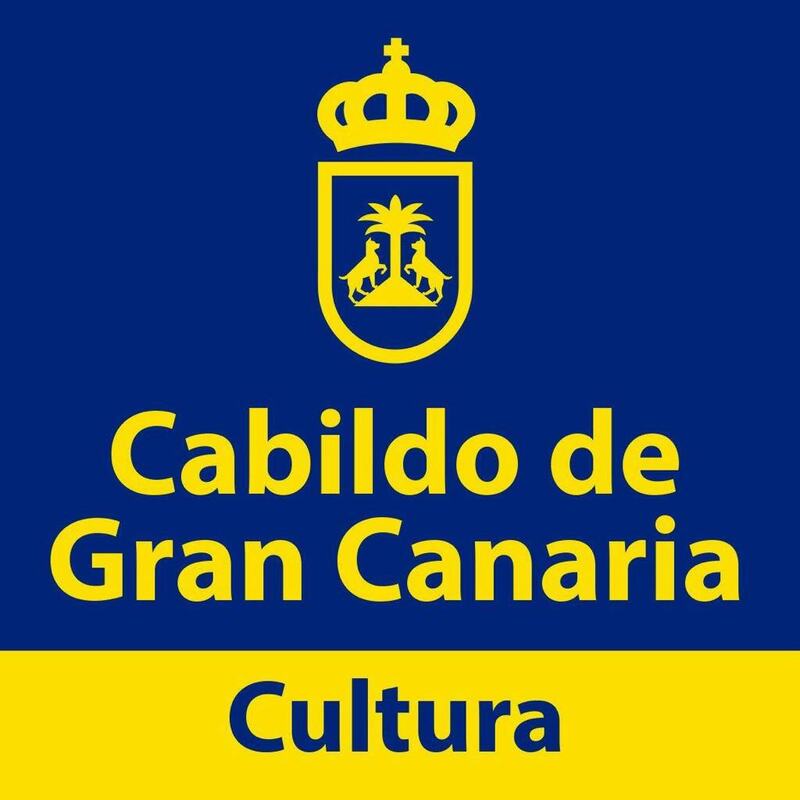 The Gran Canarian International Clarinet Festival is dedicated to creating performance opportunities for clarinetists. We are currently accepting performance proposals featuring programs with the clarinet. Deadline is April 1st, 2019. If there are any questions, please contact us at grancanariaclfestival@gmail.com. ENG: The registration deadline for active participants is for April 1st, 2019. Those who wish to attend as observers are welcome to register up to the first day of the festival. Our registration forms are available in both English and Spanish. ESP: La fecha límite de inscripción para los participantes activos es el 1 de abril de 2019. Los que deseen asistir como observadores pueden registrarse hasta el primer día del festival. Nuestros formularios de inscripción están disponibles en inglés y español. Ricardo Morales is one of the most sought after clarinetists of today. He joined The Philadelphia Orchestra as principal clarinet in 2003. Prior to this he was principal clarinet of the Metropolitan Opera Orchestra, a position he assumed at the age of 21. His virtuosity and artistry as a soloist, chamber, and orchestral musician has been hailed and recognized in concert halls around the world. He has been asked to perform as principal clarinet with the New York Philharmonic, the Chicago Symphony, and at the invitation of Sir Simon Rattle, performed as guest principal clarinet with the Berlin Philharmonic. He made his solo debut with The Philadelphia Orchestra in 2004 and has since performed as soloist on numerous occasions. Ricardo performed the world premiere of the Clarinet Concerto by Jonathan Leshnoff, commissioned for him by the Philadelphia Orchestra. Ricardo is a sought after consultant and designer of musical instruments and accessories, and enjoys a musical partnership with F. Arthur Uebel, a world renown manufacturer of artist level clarinets. Barbara Borowicz graduated with honors from the Academy of Music in Krakow (Poland) in the clarinet class of Professor Andrzej Godek. She continued her musical education at Accademia Nazionale di Santa Ceclia in Rome (Italy) with Alessandro Carbonare and at the Universität für Musik und darstellende Kunst in Vienna (Austria) in the chamber music class. In 2017 she received her PhD degree at the Academy of Music in Krakow. As a soloist Barbara Borowicz made her debut with the Opole Philharmonic Orchestra in Poland and since then she has regularly performed in Europe, North Americas, Australia, Africa and Asia in prestigious concert halls such as the Sydney Opera House. Moreover she received the Młoda Polska scholarship from the Polish Ministry of Culture as well as the award Ars Quaerendi for the remarkable actions for the development and the promotion of culture. Barbara Borowicz uses clarinets by Buffet Crampon, she is also an Artist for Silverstein Works and Vandoren. Since 1989, Radovan has been Principal Clarinet of Gran Canaria Philharmonic Orchestra with whom he collaborated with conductors such as Rostropovich, Yurovsky, Norman del Mar, Gianandrea Noseda, Trevor Pinnock, Gunter Herbig, Adrian Leaper among many others. Currently, Mr. Cavallin is Professor of Clarinet at the Academy of OFGC. Between 2002 and 2010, he was the Professor of Clarinet, Chamber Music, and Orchestral Repertoire at the Conservatorio Superior de Musica in Las Palmas, Canary Islands. Cavallin is a Selmer, Backun, Silverstein Works and D’Addario artist performing on Selmer “Privilege” clarinets, Backun MoBa “Arabesque” Mouthpiece and Silverstein “Carbon Black” ligature and D’Addario”Reserve Classic” Reeds. Laura is currently Principal Clarinet of the Orquesta Sinfónica de Las Palmas and the Orquesta del Atlántico and has collaborated with the Orquesta Filarmónica de Gran Canaria, the Banda Sinfónica Municipal de Música de Las Palmas de Gran Canaria and as principal clarinet of the Gran Canaria Wind Orchestra. Since 2009, she has been the clarinet professor at the Escuela Municipal de Música "Candidito" de Teror and director of the clarinet ensemble "Clarikids". Since 2013, Laura has been a teacher at the well-known "Curso Musical de Verano" of the Asociación musico-educative Iengale. Kristine Dizon is the Assistant Artistic Director at the Gran Canaria International Clarinet Festival and Coordinator of the International Clarinet Competition at the American Single Reed Summit. Kristine is a PhD candidate at the Faculty of Human Sciences at the Universidade Católica Portuguesa in Lisbon as a recipient of the Fundação para Ciência de Tecnologia. Her primary research focuses on “Remaking: The re-shaping of sound in Portuguese Musical Comedies." ​Ms. Dizon was awarded the J. William Fulbright/Camões Institute Scholarship to study clarinet and orchestral conducting at the Escola Superior de Música Artes e Espectáculo with António Saiote. Ms. Dizon received a Master’s degree in Clarinet Performance at Southern Illinois University-Carbondale and degrees in European History and Music at the University of Minnesota-Twin Cities. Kristine is an artist for F. Arthur Uebel Clarinets, Silverstein Works and Barkley Mouthpieces. Each clarinetist must prepare one compulsory work and one solo piece of their choice for up to 10 minutes. The festival will provide each competitor with a pianist. "es inspirar el crecimiento musical y el aprendizaje en uno de los lugares más bellos del mundo." ENGLISH: The participants will receive individual and collective lessons with our international faculty. Advanced students are welcome to perform chamber music groups during the festival. SPANISH: Los participantes recibirán clases individuales y colectivas con nuestros profesores internacionalmente reconocidos. Los alumnos mas avanzados podrán interpretar en grupos de cámara bajo pedido especial. The students who will stay at the school residence will have transportation will have free transportation to the theatre as organised by the festival. Los alumnos que se hospedan en la Residencia Escolar tendrán traslado de ida I vuelta gratuito garantizado por la organización del festival durante el mismo.